I miss sewing! With all the design and illustration classes I have going on these days, I have FIVE projects due this week. I’ve had to spend almost all of my free time working on homework. But I managed to sneak in a little sewing. 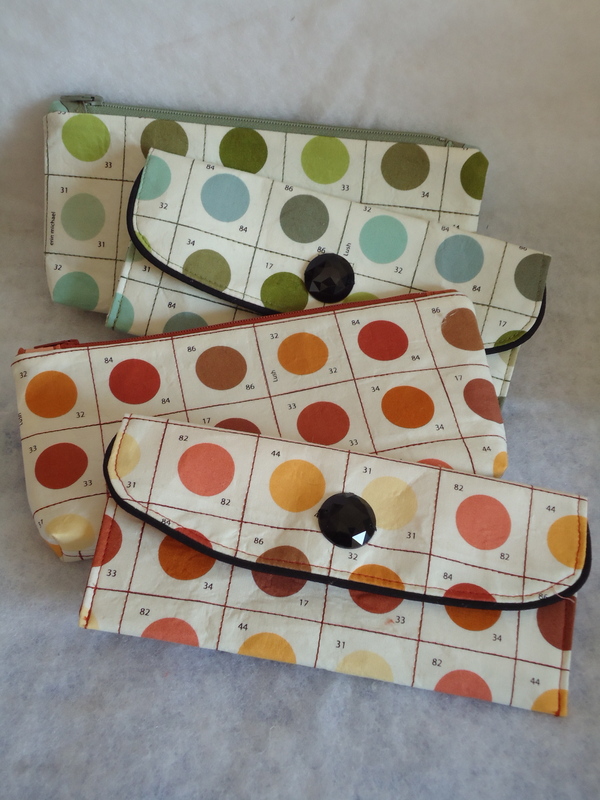 I made these sets of zipper bags and wallets to hold some of my art supplies, especially my favorite fine-tip and brush-tip markers. 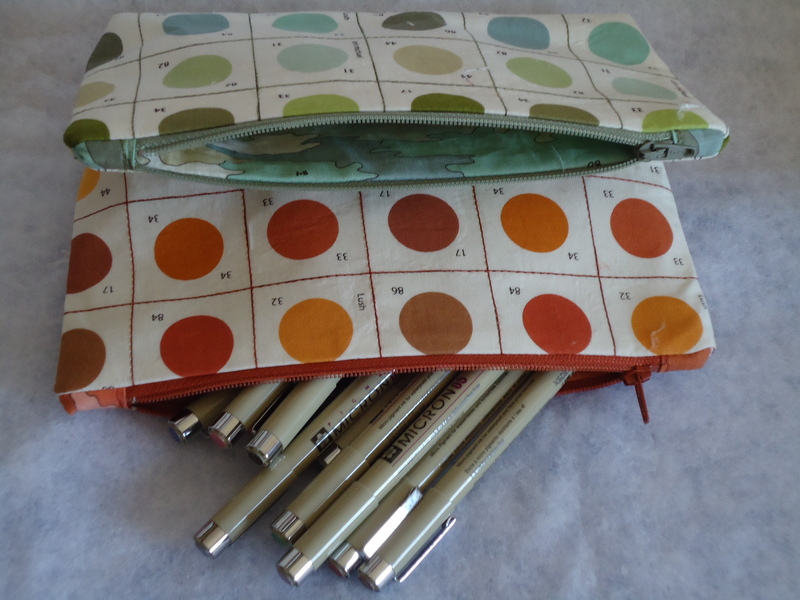 What better fabric than the paint-by-number prints from the Lush collection by Erin Michael to carry art supplies in. 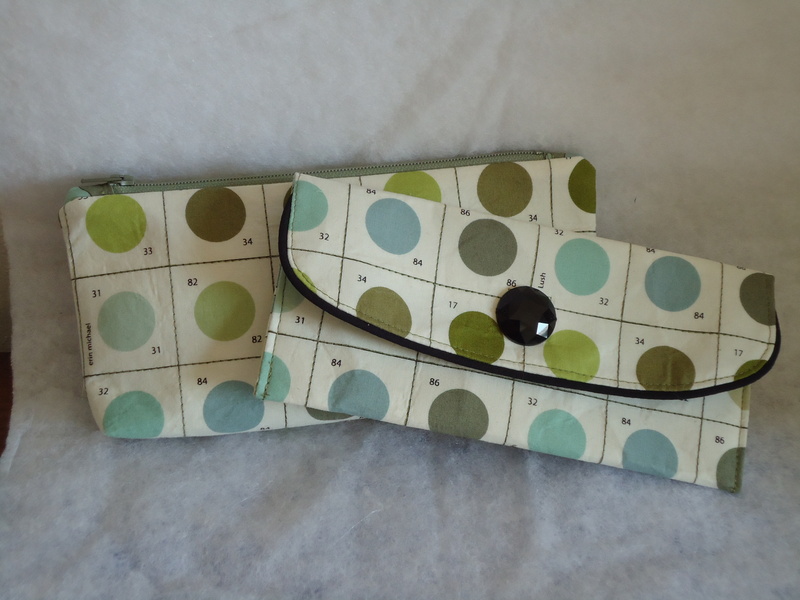 I should mention that I used the pattern from my Simple Makeup Bag tutorial for these zipper pouches. 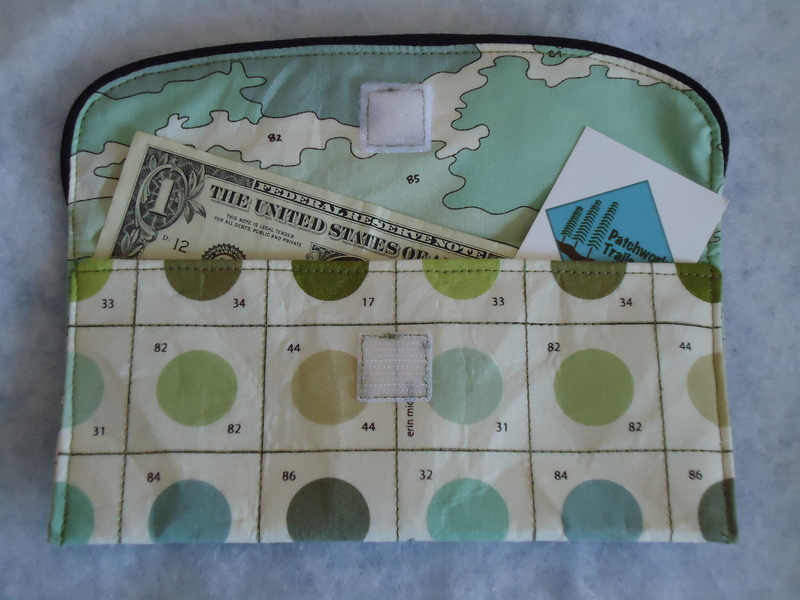 The pattern for the wallet is a new idea I’ve been working on. I like to use index cards when brainstorming ideas, so I thought it would be fun to have some artsy wallets to store my cards inside. I hope you haven’t given up on my sewing! I still dream of sitting at my sewing machine for hours in the evenings, working away on another experiment or figuring out how to bring a new inspiration to life. You do such a great job with these and I still love your piping! That fabric is very cute, too. I hope all your classes are going well! I love these Terri! 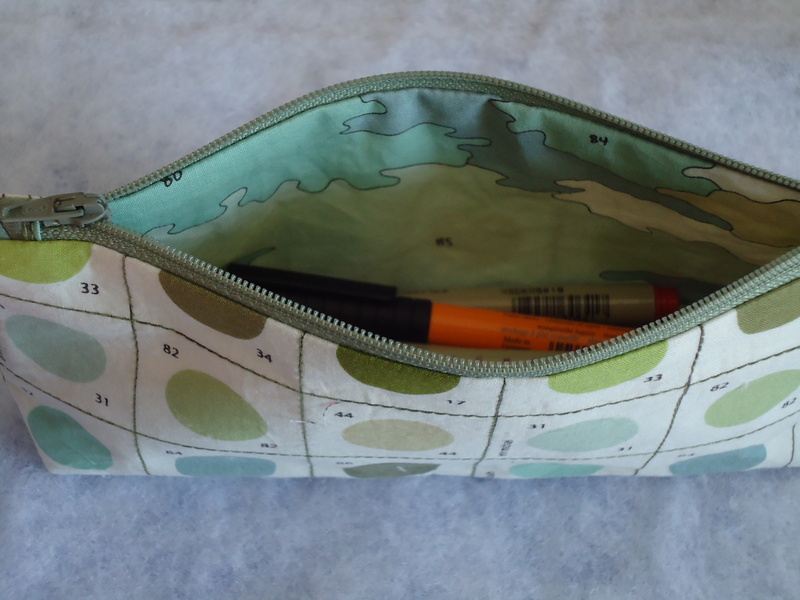 Your post reminds me that I still have to make a little makeup bag. these are so cute and i love the fabric you used! my sewing time is so limited too. makes me feel the need for a couple of hours at the machine! Hello Terri! Vow – how great your found so perfect and wonderful fabric for your lovely pouches! I love them and the colours as well as the lining with the same colours! Enjoy your painting and drawing! Ah-dorable! They’re just precious! I have to tell you, I’m itching to sew too! Unfortunately, my machine is still ensconced somewhere over the rainbow being serviced and my only recourse is to live vicariously through my bloggy friends’ projects! P.S. I’m super impressed that you got the flap fabric to line up with the main body fabric on those pouches. YOU my dear, are amazing. It’s definitely harder to squeeze in sewing — even when you only have one class like I do. Your choice of fabric for these is BRILLIANT! I do wish sometimes I’d picked up some of these fabrics, but my fabric bins are totally overflowing…. Love these! 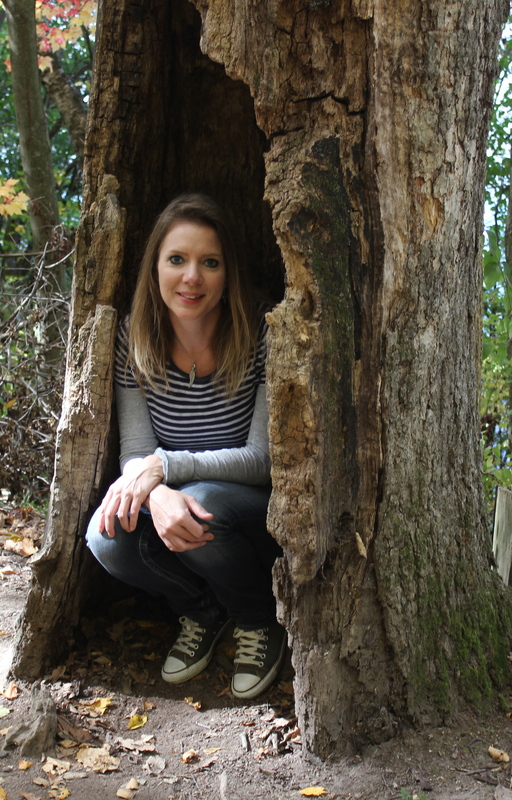 I just love the landscape print on the inside! I think the lining should always be a pleasant surprize! These would go great in the shop! Just thinkin’ about you, and wondering how school was going. Guess this answers my question, huh? 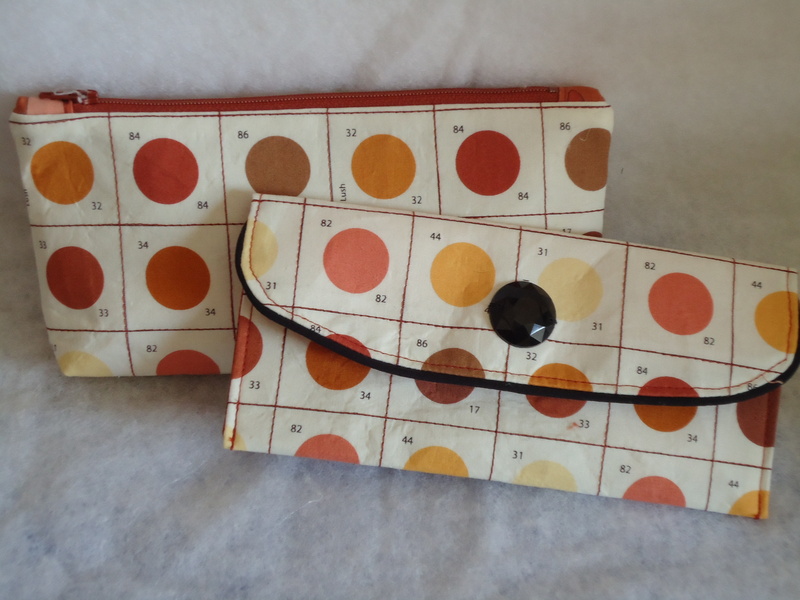 The wallets and bags are adorable, and that fabric IS perfect for them! I feel guilty, (just the opposite, and my head hangs low) I have been sewing “too much” and my house has been neglected..
(darn golden retriever tumble weed hair balls are appearing everywhere). Laughing! Note to self…clean the house today! Your bags are darling Terri, and I love the lining you used. Good luck in school and I’ll send good thoughts your way so you can get more sewing time! These are just so very cute! Love them in that fabric! Love your little bags, and wallets. Very nice and I guess I missed the boat on those fabrics to. I love them. School work comes first so hang in there. Sewing will come . I like to see your work. I know we will see alot more when work lets up a little. We will hold on for you. I can totally relate to how you’re feeling!! Every night I tell myself, I’m sitting at my sewing machine tonight…but then I feel so exhausted by the time the little one is in bed that I just want to veg out! I know you still have it, Terri!! Love the artsy wallets! These wallets are wonderful! I can completely understand how you feel–I’m teaching two community college classes (English) this semester…and have missed sewing already this week…can’t wait for Friday! Perfect little bags, good luck with your assignments. I bet your friends at school have noticed your new bags!!! You will be sewing some for them I bet. Your bags are great. Love them! Enjoy your classes and have fun. That’s the best use of that fabric I’ve ever seen! that fabric is AWESOME for art pouches. you do such a great job, Terri! I HEART micron pens, don’t you?? ?